Download a vast database of construction workers and professionals by purchasing our pre-made construction directory. This ready-to-download data product is full of emails, phone numbers, and contact information of those working in construction departments at numerous companies. You know the drill: Send emails to prospective clients and let them know about your product or service. If you want to hammer your message home, you need a contact list that's focused on your specific target audience. With this construction directory, you can build strong business-to-business (B2B) relationships or market your unique tools, heavy equipment, organizational software, or other construction-related product. Pull accurate contact information of viable potential clients, and construct a solid foundation for your marketing campaign to stand on. Get accurate contact information and great potential leads from Bookyourdata.com, either in the form of our ready-made lists or our innovative list-builder tool. 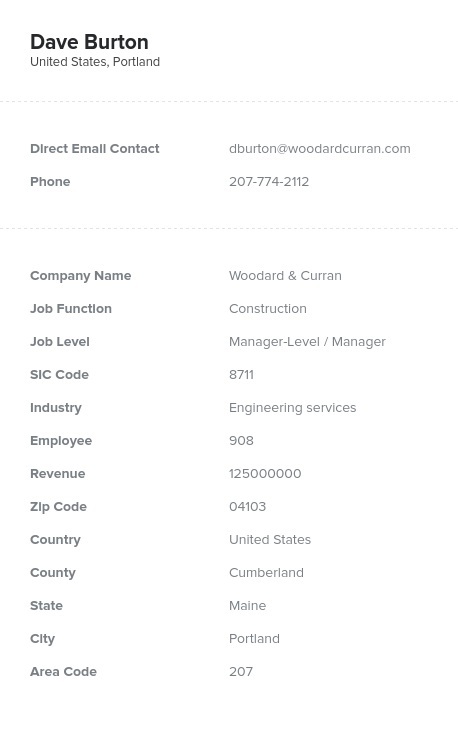 This specific product is a human-verified directory that contains the contact information of those working in construction departments at numerous businesses and institutions. Use it to connect with people at companies across industries but all within the same field. In the database, you could find workers, staff, managers, organizers, or even executives in construction departments and firms. Our highly verified and accurate emails can help you boost sales, find more leads, and build better relationships with those in the construction industry. Download it within minutes, start forging new connections, and elevate your brand!